Matt has asked if I could elaborate on the following paragraph posted on my website sometime ago. "All of this exclusive film and the bizarre secrets it reveals will be available on the Net in what can only be described as an unprecedented event itself. You will experience through the eye of the camera, the entire expedition as I did. …instead of assembled sound bites and the pieces of film spliced together, you will ‘witness' it all; life on the streets in the 60's, love-ins, anti-war demonstrations, riots and the man who eclipsed it all, Charles Manson, uncensored." About twelve years ago I rough cut (assembled) the MANSON footage described above into a five hour mini-series: "The Legend of Charles Manson". Only the sound effects and the narration were not yet incorporated into the project. Then, with eBay and Amazon providing a venue in which bad guys could unload their illegal wares, a New Jersey counterfeit ring started making and distributing unauthorized DVD copies of my 1973 MANSON film. I filed a Federal lawsuit in hopes that eBay would stop the "pirating" conducted on its website. 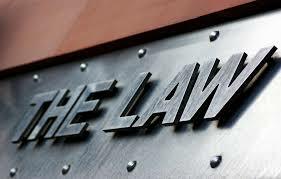 But the Court determined that the US Congress intended for Internet service providers, via the DMCA, to be free of any obligations that might inhibit them from violating already established secondary liability laws. Of course, then I was faced with the realization that if I finished the mini-series and released it, it would be immediately "pirated" all over the world. Especially, because I was going to put it on the web via a "pay-per-view" business model. So, I eventually thought of making an 85-minute condensed version of the "The Legend" series to test the actual extent to which widespread Internet "piracy" has taken over America and the rest of the world. Unfortunately, as this recent YouTube email proclaims: "Pirating will always be around." "Dude, you have more Family jams and Watkins/Brooks recordings? Stuff that hasn't been released? Release it please! Pirating will always be around. What are you going to do, let it rot?" 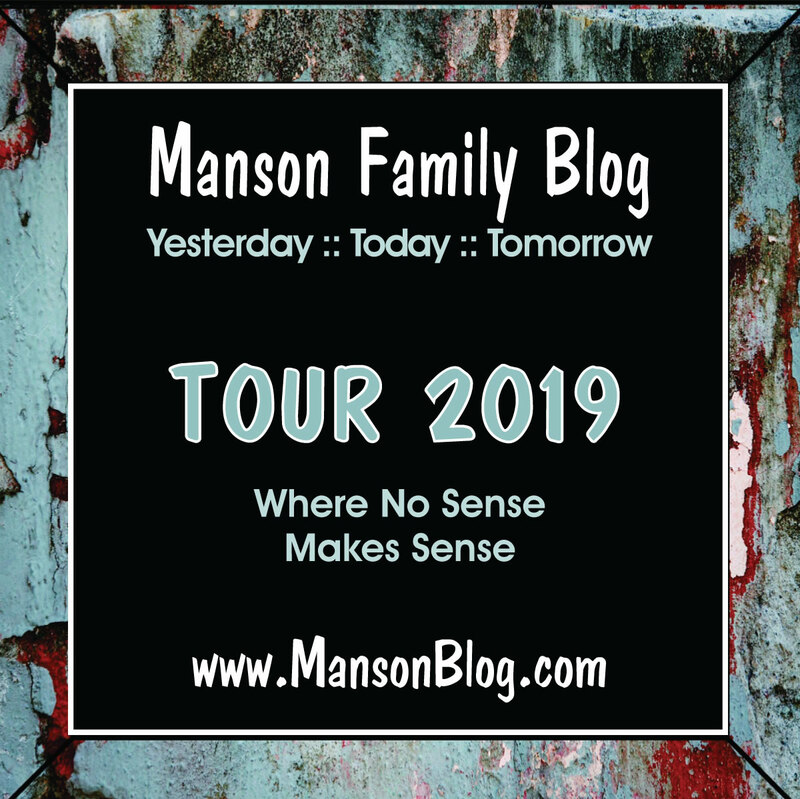 And yes, the 1970 filmed Family Jams and the Watkins/Brooks recordings are included in the "The Legend" series, but should I try again at releasing more MANSON material, in the hopes that a different result will occur? Instead of victimizing myself with even more insanity, I decided to write a book which incorporates most all of the dialogue recorded during the making of the MANSON material from late 1969 through the summer of 1972. Obviously, the result is "Death to Pigs". Because the paper and ink book publishing business is now in a bad way and the DVD market has been all but destroyed by the illegal downloading on the Internet, I came up with a new marketing idea. I'm still trying to work it all out, but the plan is to also release the MANSON book as a "play-book". That is, to allow those who purchase it with the intent to perform the work on the stage as a play, to maintain all the ticket sales monies they earn for themselves. In other words, a high school or college drama class can purchase copies of "Death to Pigs" for each speaking part and be granted permission under my copyright to perform the work for profit. So, instead of a school just performing the same of "establishment" type entertainment for the community's elders, young actors will have an opportunity to do something dramatic, meaningful, mentally stimulating, and profitable for their school. This can easily become a win-win situation for everyone. Maybe this could even lead to "Death to Pigs" on Broadway starring the new Lindsay Lohan. What do you all think? Hate to say it, but I'm not feeling the "performance" idea. I for one, would buy a website membership to view the raw footage in its entirety at my leisure. I have always been a Hendrickson fan. It just makes me feel better about being a TLB junkie knowing the leading expert is a reasonable and thoughtful guy. I am with Matt in that I too would buy into a website that offered the material, but you have to give Robert credit as an artist for thinkiing outside the box on ways to present his stuff. I don't think the play idea will be satisfactory either. My wife was a high school drama teacher for many years. She had problems filling even half of the theater seats with establishment type plays. I can hear parents protesting about their children performing in a play about one of the most gruesome murder sprees of modern times. I understand your dilemma. You certainly should be compensated for your work and once it's on the internet it'll be stolen. The only possibles solution that I can see is that you publish and make what you can from the material at your price. If the film is pirated then undercut the price the pirates are asking and make the rest of your money through volume sales. orwhut, streamed video on a membership site cannot be downloaded (unless someone holds a video camera in front of a computer screen. That would make for extremely poor quality reproduction. I really believe that membership is the way to go. I've developed such sites. As the admin I can see if a member is using too many IP addresses which would be a red flag that they are sharing the password info. This scenario has worked well. It's when you press DVD's that pirating becomes easy. It's understandable that Mr Hendrickson would seek some recompense for putting out extra "Manson 73" footage but the market for high-priced Pay-Per-View would be very limited IMO. I'd expect that many of us who've seen "Inside The Manson Gang" would be very wary of taking the chance that such extra footage would be worthwhile paying much to see. And if any of the footage is good, then why wasn't it included in that DVD, as it's woefully short of "good previously unseen stuff"? Surely the best way for Mr H to capitalise on this footage is either through licensing clips or just selling it all on lock, stock & barrel to another documentary film-maker. Without a proper release & widespread distribution there will be no volume sales for this. The realities of the marketplace are what they are & people will pay only what they consider a product is worth to them - usually compared to other product choices. So thinking you will sell many DVDs or books or pay-per-views at a $20+ price-point is not realistic. Probably best to just make it available free via Backporch Tapes on Youtube & concentrate on getting wide distribution on a new release of "Manson 73". All that being said, I must say that "Manson 73" is one of the best films ever, IMO. Patty believes the time will come when a children's play about The Family could be viable. But that time has not yet come: it is still too soon for proper historical perspective on the part of the general public. Robert, maybe you should leave the unseen footage be for now; leave it to your children as an inheritance. Its value will only appreciate with age. Can I suggest re-cutting "Manson" into a "Director's Cut" and release that with the supplementary footage as extras. I imagine you will find a distributor easily and it will sell bundles. "Manson" is absolutely unique! I don't understand much about streaming video through a membership site. When Mr. Hedrickson said "I was going to put it on the web via a "pay-per-view" business model" I thought that was what he was talking about being pirated. You make some very good points. I'd love to own a new release of "Manson 73" with extras, commentary, and identification of the people who appear in the scenes. I'd be willing to pay for a competitively priced, legal, DVD, just because it's the right thing to do. The quality would probably be better than a pirated copy as well. orwhut, "streaming" video means that it plays on the web via your browser, but the user is not capable of downloading it - only watching it. The path to the source of the video can be encrypted as well, ensuring that the video can only be viewed through that website. We're not talking YouTube here, but private video streaming. I think most people would not be interested in a play about Manson or would not want to court controversy. I agree with Matt - website membership is a great idea. David Lynch shows exclusive footage on his subscription only website. I would be surprised if any of the unreleased footage would be of much interest. I'm sure all the best footage was used in Mr. Hendrickson's 2 earlier releases. An I can't see and school or drama club wanting to touch the Manson story as a play. 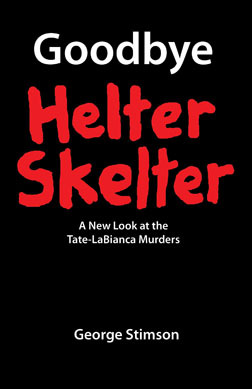 Other then us diehard helter skelter buffs I think there is a limited interest in this footage. Sime, if you have any specific recommendations I'd be happy to pass them along. I can be reached by email. Thank you for explaining. My old Win98 computer won't even get Youtube any more. It's probably nearing time for an upgrade. Patty is thinking about her comment from earlier: she almost sounds like she does not want to see/hear the raw footage in her lifetime, which is completely untrue. Patty is a huge fan! What about the idea that Susanna Lo mentioned when we asked her why there is so much interest around Hollywood right now in Manson movies? She responded if you will remember that perhaps the phenomenon of "riding the wave" is at play. Does this current wave of interest in the case figure into the economic discussion at all, or is the value of the raw footage likely to continue to increase? UC Berkley or Wellesley College in Mass might do a drama club stage play i'm sure. Colleges seem to enjoy things out of the mainstream. Audiences today are not into Hello Dolly type stuff. 1) it only takes 1 school to put on a good dramatic MANSON program and the media will spread the news for others to jump on the band wagon. (2) If a school puts on a GREAT "Death to Pigs" show, I'll be there filming the next performance. (3) Colleges can't deny a subject like the Manson Murders from being discussed ANYMORE, otherwise some students might discover that the institution is only after their tuition money. (4) Colleges buy DVDs of MANSON from us for their libraries. (5) Had Dylan Klebold been allowed to discuss, in class, his school paper on the "Manson Family," maybe the Columbine Massacre would not have happened. (6) in California, the education and penal systems are bankrupting the state, so this issue of students earning revenue for their schools is going to be an issue in the coming election. The infamous Rush L. has already raised the issue. (7) A college like UCLA in LA will pack'em in with just the mention of the name MANSON. (8) We had a college professor see MANSON and then he told his psych class that he would FAIL any student that didn't see it also. As for the additional 5 hours of MANSON footage, I look at at tree and see 2X4's, but I also understand that someone else may actually see a TREE. The biggest problem any dramatic group will encounter is the perennial one i.e. acting out the Family's words without coming across as absurd & laughable or just not sincere. That's been the case with every dramatisation thus far & would close a theatrical production after the first night. It's a pity because Charlie & Co. have always played their own roles brilliantly & most sincerely. The exception to that would be The Manson Family Opera, which is very good & quite effective, but maybe too left-field for most tastes. Even with big names linked to that, it wasn't a winner. I don't want to dismiss the "play" idea out of hand though. The best thing to do I think would be to produce a script & self-publish it. Then, after promoting the fact that it's out there, just sit back & see if anyone wants to stage it. Just one fairly successful production would bring in decent royalties. I'm a little confused about his book. Is it available? I thought I saw it for sale somewhere but can no longer find it. Welcome, Cielo. You cannot buy the book in stores. Thanks Matt, that is where I saw it originally. But I can't seem to find it anymore. Am I losing it? this might be too obvious a question but why can't he just release a dvd like everyone else does? I'm guessing that cost of obtaining film-board ratings may be why we're not seeing general DVD releases. In the US it would run to about $2500 for a rating certificate and about $900 in the UK (for Manson 73). The 5-hours of raw footage would be more as they charge about $9 a minute in the UK (plus a basic fee), so that would be about $3000 just for a UK certificate. I imagine you have to get rated in each territory separately. Allow me to comment on your remarks re not being able to record a streaming movie. There is a variety of screen capture software that allows you to record (in streaming format, ironically) anything displayed on your screen together with the audio feed. This file can then be saved, converted, and distributed. I'll not spell it out further, but it can be done. Frank, that's interesting. I guess where there's a will there's a way. Think about it, Matt - if key loggers can record what you type, why wouldn't surveillance companies want to see what you see on your screen!! Maybe your computer has an embedded applet that is recording all the sites you visit and images you view and sending a copy out to ... (fill in the blank with your worst nightmare). Not sure what kind of education I'm providing, but I'll leave the ethics of it to you :-) It's probably less of a moral outrage than getting school kids to reenact the sordid events of TLB. I'm a Mac user too, and am enjoying learning all the new gestures (one, two, three and four fingers) provided by OS 10.7 (Lion) for swiping and stabbing at the track pad. Well, Death To Pigs doesn't include the crimes. It would be interesting to see how creative people could get formulating plays from the street corner dialogues and the Spahn Ranch interviews as a barometer of 1960's America. FRANK is right. There is nothing that cannot be copied, but it gets even more critical with the air waves. 30 years ago I witnessed a devise where the sound on your TV can be shut off and another voice comes over. It can be localized to effect just one TV or a whole country's teleivison system, without using any wires. "People of the United States, we mean no harm, but we from the great nation of China are presently taking over America. Do not panic, it will only cause chaos and bloodshed. Be calm and stay in your homes. Don't worry, we will teach you our language and our ways, if you are under 50 years of age....." This capability existed 30 years ago, so just imagine the power Google has now. I suspect, for like good reasons, the Vatican has kept all those ancient manuscripts in vaults for hundreds of years. Of course, the final result is a people not knowing ALL the truth. So all this BS about "FREEDOM" providing "other's" work to the masses for free, is actually paving the way for the world to enter another period called "the Dark Ages." You only have to open your eyes to witness for yourself, all the mindless creations now infecting the airways. For me, the question is: Why should I spend anymore time and money putting the final touches on 5 hour "The Legend of Charles Manson" when I have an entire historical archive of film that includes WW1 and WW11, the 1960's revolution, which critics claim is irrelevant to the MANSON case. I even have "home movies" dating back to the turn of the century (1900). With my Mac I can make all the movies I want, for the next 100 years and still have film left over. AND photographs, I even have the entire Civil War in photos, so why waste anymore of my life by filling the dinner plates of "pirates." If I spent the last two years writing a book about my experiences at Area 51, instead of the MANSON Gang, that book would be on book shelves all over the world by now. But then, why would Charles Manson, with the alleged mental ability to control others, need or want to start a B & W race war? It's his baby, you can't really blame him for not wanting to let it go. Once it's out theres no way to control it. All these Mac users - I'm beginning to feel at home. I would love to see that raw footage. I was raised out here in Canoga Park and I really enjoy seeing Mr. Hendrickson's footage, which shows what it looked like in the West Valley at that time. In Manson 73 there's a balding guy with dark hair, sideburns connected to his mustache, and seems to play with his upper plate dentures. He's seen playing with Mary Brunner's hand during an interview. Does anybody know this guy's name? Doc, the person you are asking about is TJ Walleman.